Home (All Topics) → Technology → What Is Saas And What Online Services Are Considered As Such? What Is Saas And What Online Services Are Considered As Such? By Mario Alexander on January 26, 2019. Have you ever heard of SaaS, which is officially known as Software as a Service? Maybe it sounds too technical to you. But you have most likely used a SaaS in your life before. Better yet, maybe you use it every day. So, what is SaaS anyway, and how does it work? Sit back and relax because we are going to explore that in this article. We’ll even give you some examples of the SaaS, so you get to know them better. Let’s fire away. Also known as web-based software, on-demand software, or hosted software, Software as a Service is a model that delivers software, which then allows users to access data from any device with an internet connection. Usually, a third-party provider will host apps that are available and accessible by the users. It is considered a type of cloud computing because the user cannot download the software to their computers. With the SaaS, users can then outsource their IT duties. The SaaS models can be accessed remotely. 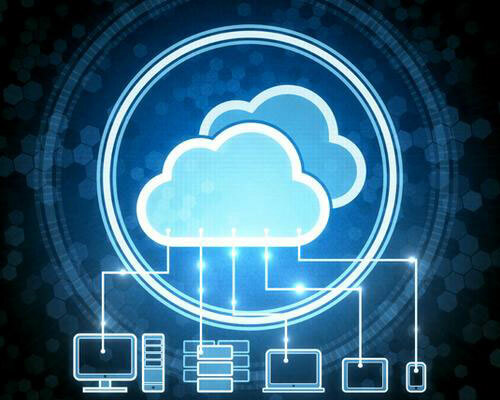 In today’s world, cloud computing has become very popular and highly in demand. You can enjoy a string of services for your company without the need for having bulky hardware. Generally, SaaS comes with a lot of benefits. This type of SaaS is made possible by the generous availability of the internet. Furthermore, there are related players all around the world. SaaS collaborative software is dominated by software that targets all the forms of collaborative efforts. Here is where you will find stuff like web conferencing, email, project planning, document collaboration, as well as instant messaging. Usually, these platforms will be on the cloud and will have to be easily accessible from anywhere and by any authorized member. This is without any doubt the biggest SaaS category. They come in multiple branches including supply chain management, customer relationship management, human resource, and financial management. The SaaS packaged software focus on specific processes like annual performance reviews, or management of employees’ salaries and benefits. In most cases, they will be designed with a particular inbuilt business process that allows customers to customize it accordingly. Since it is challenging to manage these platforms, they are most dominant on the cloud. The tools in this category are more of development tools that are needed by a developer when they want to extend or create a SaaS platform. Furthermore, they focus on the testing, measuring, and monitoring that both the customer and developer need. So, these are the major categories of the SaaS, but there are other subcategories. We will now look at the examples of Software as a Service to help you relate better. Enterprise Resource Planning (ERP) is a type of software that improves the efficiency process and also empowers the sharing of information across a specific organization. Furthermore, they will give management better insight into the productivity and overall workflow of the organization. Without any need for explanation, Customer Relationship Management software helps to handle and manage information, track sales, and automate the marketing via a pipeline. This software will cover some applications that have been developed to help a business/organization to manage things that relate to the customer. They can also manage customer data and customer interaction. The main aim of this software is to solve any issues with the customer and improve their overall experience with the company. Touch Bistro, which is found on thetop10sites.com, is an example of Point of Sales (POS) software, but it also can handle customer relationship management. The financial management of any organization is paramount. Finance is generally the primary language of business. For that, you must ensure that you manage it properly to avoid any possible losses and errors. A SaaS accounting software will help you maintain an organized and well-tracked financial record. You won’t even need a financial degree or experience to use the accounting software. This is a software that the marketer/organization will use for email marketing. It comes with multiple services, tools, and resources to allow you to send customized emails. With this software, you can automate your email marketing, along with the relationship building. At the same time, you get the chance to optimize the delivery of your message through the emails. Some of the best email marketing services include Constant Contact, Benchmark, and AWeber. A PMS will allow you to track the scope, progress, prerequisites, changes, communications, as well as the deadlines of a specific project. This software aims to help you oversee the completion of projects and prevent any possible error that could mess up its success. The software also helps you to meet the requirements of the stakeholders. These are some of the leading SaaS examples of the current era. A web hosting company will allow you to ‘rent’ their online space to set up your website. Without the web hosting companies, it would be impossible to find all the websites you visit online [including this one]. E-commerce software, on the other hand, allow brands to conduct their business and sell product/services online. Some of the best web hosting providers on the market include HostGator, GoDaddy, Bluehost, iPage, 1&1 Hosting, and more. On the other hand, reputable E-commerce sites include Shopify, Wix, BigCommerce, Volusion, and more. This SaaS software will accept credit cards, publish and track coupons, process bank transfers, run loyalty rewards programs, and track coupons. Thanks to the cloud transaction processing software, you will have unlimited ways of accepting payment for your products and even services. You can find multiple transaction processing software on the market, such as PaymentCloud, Leaders Merchant Services, Flagship Merchant Services, and more. Generally, there are many SaaS software out there; you just have to find the one that suits your need and that of your business. Remember to weigh the delivery of each service provider as well as their reliability before you choose one.